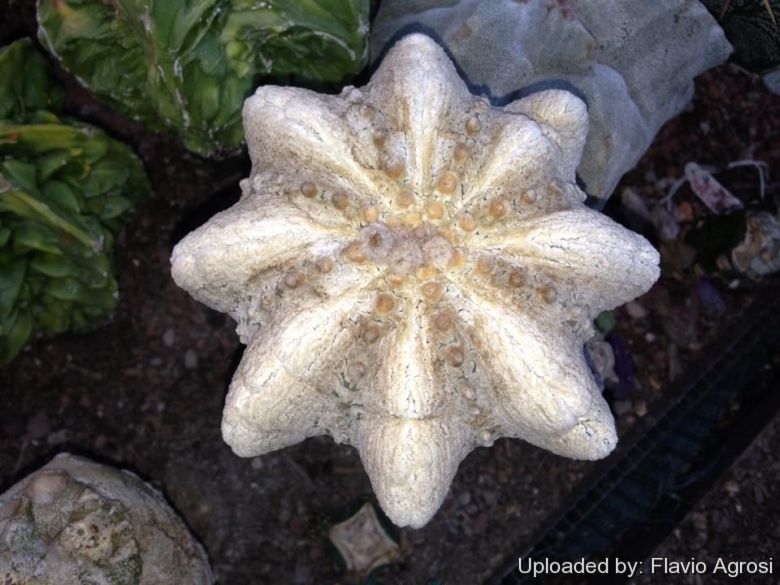 Description: Astrophytum asterias cv. 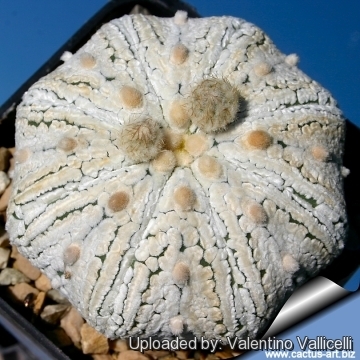 Superkabuto with its inimitable fuzzy epidermis is actually the most popular cactus cultivar. 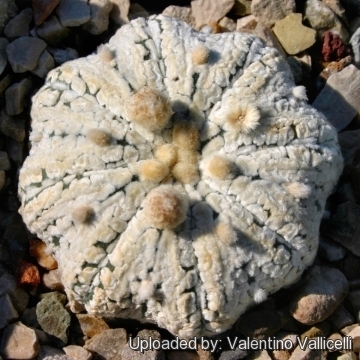 It is easily distinguished from the normal Astrophytum asterias by the epidermis, that does not have simple dots, but a mosaic of extensive white spots or lines that make the plant look intensely maculate. Many different beautiful forms of 'Super Kabuto' , which differ for the diverse pattern of the spots are now available. 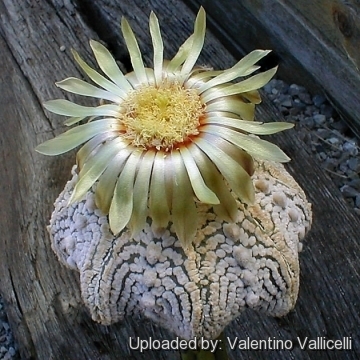 Astrophytum asterias cv. 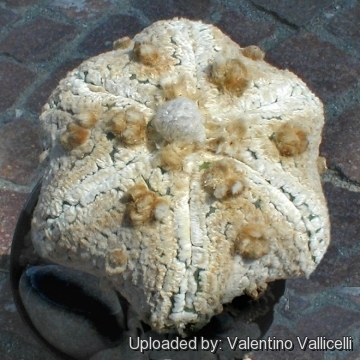 Superkabuto Star Type + Snow type is a very nice cultivars that combines the peculiar shape of Astrophytum asterias cv. Superkabuto Star Type (with star shaped stem instead of rounded) and of Astrophytum asterias cv. Superkabuto Snow Type (that has an dense covering of large white dots giving the plant a white, "snowy" appearance). This particular form is also called "Snow white", or “White form” but - despite to its beauty - is very rare and sought after by collectors, for its unique features. There are several forms with felty or woolly white covering of dots that almost conceal the epidermis, all selected by Asian growers. This intense white covering is not seen in most of the normal 'Super Kabuto' seedlings and will change and emphasize as a plant ages.